There is a persistent viewpoint in the marketing world that everything will fall into place if you can just deploy the right technology in your marketing stack. Need to engage with customers better? Add a new solution to your marketing stack. Need to determine the results of your customer engagement efforts? Deploy an analytics offering and you’ll be in the clear. Or at least that is the idea. Technology can, and does, solve a significant amount of problems around customer data. It can link data sources together, match it to customers, handle disparate data types, and more—all of which is basic blocking and tackling for a customer data platform (CDP). A CDP can also connect data across silos and allow for a cross-channel view into customer behaviors and preferences, creating a single point of data control that enables an omnichannel customer engagement strategy. What a customer data platform cannot do, however, is solve the organizational problems inherent in breaking down data silos and closing the gap between customer engagement strategy and execution. Every organization has functional data silos, which have grown organically over the years. For example, sales owns sales data, service owns service data, and marketing owns marketing data. Even within those teams, subgroups own specific data like web metrics, DMP, display, email marketing, or the customer relationship management (CRM) system. This state of affairs is especially prevalent in large organizations—think multinationals and similar—and may even include geographic data silos depending on local laws and regulations. On the whole, these siloed departments don’t like the possibility of sharing their data with other functions. They view that data as “theirs” and see no reason to share it with anyone else in the organization. In fact, these siloed departments will often try as hard as possible to resist any efforts to share data in a new technology deployment. “We’ve always done it this way” is a refrain I’ve heard more times than I can count in situations like this. It’s also hard. Each silo has naturally built up complex data and people inter-relationships in their area, so even small changes to data or the organization can take a long, long time to achieve. Even when there is alignment on all your teams that something needs to change, you’re still likely to face resistance from entrenched data silos because the change can be very complex sometimes. In my years of deploying software, I haven’t yet met a marketing technology problem that couldn’t be solved somehow. Even the most pernicious software challenge can be overcome with a little “elbow grease,” and I’ve yet to be proven wrong on that score. Technical issues are, in fact, the comparatively easy part of deploying a CDP with a customer where multiple silos exist. When you look for a solution to your cross-channel customer data problem, however, you must fix the organization’s politics first. This will require a lot of negotiating to gain organizational alignment on priorities, and determining who has ultimate responsibility for the customer experience. CMOs often have the greatest success in this capacity, but only if they’re given the organizational heft (and budget is nice, too) required to pull everyone along the same path and force entrenched silos to share their data. If you don’t fix the political problems first, before you go out and find a new technology, you will end up trying to solve a political issue with a technical solution. This pathway will cause no end of consternation, and you’ll see it in how long the project takes to finalize. The implementation will lag and you’ll get frustrated at the length of time it’s taking to deploy what seemed so straightforward during the sales process. Alternate outcomes I’ve seen include “de-scoping” the solution because certain areas of the company just can’t invest in the change necessary to become a part of the bigger whole, even after originally agreeing. You’ll also experience organizational entropy the longer the project takes. Passive resistance, where the siloed departments simply refuse to cooperate, and implementation fatigue are two of the biggest project-killers around. To add insult to injury, you could also suffer more staff turnover than you expect because of how long the project takes. David Raab of Raab Associates came to much the same conclusion in a recent blog post exploring the greatest barriers marketers face when trying to gain the most from their martech investments. If you start with fixing your org chart first, on the other hand, you’re likely to have a much smoother result when it comes to technology implementation. This isn’t to say that technical problems can’t arise that take a long time to solve, but an organization where priorities are aligned and there is a single owner of the customer experience have an easier time solving those problems when compared to those where the internecine conflict hasn’t been solved before the technicians started implementing. Customer data platforms are very good at solving marketing’s technical problems; the best actually. What they’re not useful for is getting internal stakeholders in agreement on a project. When choosing a technology to deploy, or even consider a technology in the first place, bake in the time and energy to get all the internal stakeholders on the same page so you’re not trying to solve a political problem with a technology solution. 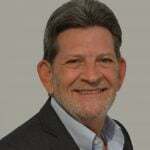 Buck is an experienced technology leader with more than 30 years of professional services experience in business intelligence, data warehousing, marketing and business analytics. As Vice President, Cloud Services for RedPoint, Buck oversees RedPoint's product strategy for on-premise and cloud-based architectures. Previously Buck spent 9 years at Merkle Inc, a performance marketing agency, where most recently he built a Global Delivery Center capability in China and was the solution owner of the cloud-based data management solution. Buck has also worked as a National BI Advisor for Cognos.